Significant increases in raw material costs this year, an increased global demand for critical raw materials as well as a lack of replacement capacity is forcing up the costs of ink. 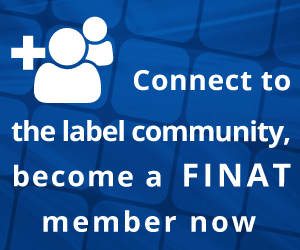 The continually challenging raw material market requires Flint Group to increase prices for solvent-based, water-based and UV inks for labels and packaging in Europe effective 1 January 2012. “The price increases for our customers will be on average 5 percent”, comments Mark Sutton, Business Director Film & Foil EMEA. He continues:”Increases will, however, vary by product and some increases on specific products will be significantly higher”. Customers will be contacted directly by Flint Group’s sales organisation to discuss the impact on the particular products they purchase. Flint Group is dedicated to serving the global printing and packaging industry. The company develops, manufactures and markets an extensive portfolio of printing consumables, including: a vast range of conventional and energy curable inks and coatings for most offset, flexographic and gravure applications; pressroom chemicals, printing blankets and sleeves for offset printing; photopolymer printing plates and sleeves, plate-making equipment and flexographic sleeve systems; pigments and additives for use in inks and other colourant applications. With a strong customer focus, unmatched service and support, and superior products, Flint Group strives to provide exceptional value, consistent quality and continuous innovation to customers around the world. Headquartered in Luxembourg, Flint Group employs some 7300 people. Revenues for 2010 were € 2.2 billion (US $2.9 billion). On a worldwide basis, the company is the number one or number two supplier in every major market segment it serves. For more information, please visit www.flintgrp.com .